The pergola is an arched structure in the garden or park that consists of a framework of columns supporting a roof on which trailing plants are trained to grow. The architectural garden adornments were popular during the Italian renaissance. The pergola is simple, made of sturdy boards and cross beams, touched up with lattice or sometimes vines. These are easy to build with the right materials. The pergola is eight feet wide and ten feet high and is easy to build and very effective. It may be free standing or attached to a home garden; a cool option against the hot sun. One of the great advantages of pergola design is that they make a good outdoor living space away from home. The pergolas are partially roofed and may look like unfinished because of its simple structure of vertical beams and roof beams. They give an outstanding outdoor decorating trend in the backyard of your home. 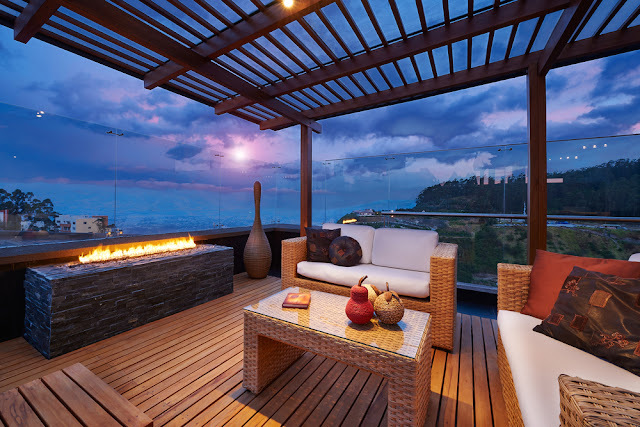 They give more privacy than a deck, thereby a perfect space for dining, entertainment and relaxation. They can be paired with deck or concrete flooring and also the drapes or screens can be added for better privacy. Depending on the garden soil of the home, climbing plants like ivy, hops, grapes or clematis can be grown around the pergola to give shade and add beauty and privacy. They can be used for vertical gardening if there is limited space for growing plants. The beams or lattice work at the top of the pergola provides relief from blazing sun. A fabric can also be used as a shield from the sun. In general, keeping the roof open allows one to enjoy the beauty of stars in the sky at night. Adding outdoor space with pergola makes the home look more attractive as well as adds a good value to it. The money invested on this space will add benefits while selling the home. An investment in Innovative and modern Pergola design for home, acts as an attractive landscaping which adds up to 20% real estate value for the home. The beautiful pergola is a fruitful investment for the joyful years to come. Outdoor pergola's give room for plenty of fresh air and light and can be used for many different activities. One can add a built in seating with benches and tables to entertain guests inside the pergola for barbecue or grill or as an outdoor fireplace that creates a perfect spot for relaxation and conversation. Also unwind on a swing to enjoy the comfortable cool space in the hot weather. Research on the garden space or backyard should be carried out, to choose the best pergola design. A clear idea on space area narrows searches on choosing the pergola design. 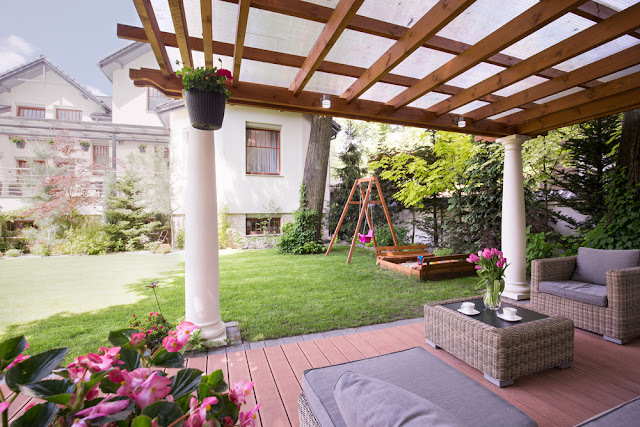 A carefully placed pergola can do a great deal to shade the right parts of the home from sunlight. The direction of the pergola wall in relation to the sun will help decide on the type of shading and roofing to use. For instance, north facing wall sees a lot of sun and be an excellent candidate for shading if made with bricks which have high thermal mass. Dark colored walls attract more heat and require more shading. The Innovative and modern Pergola design with lattice topped open air structures are mostly preferred by shade lovers and they never go out of style. So these are the above options and innovative designs of pergola. If you want to see more designs and get more info about pergola, then visit here.